Congratulations on selecting your new Chrysler GroupLLC vehicle. Be assured that it represents precisionworkmanship, distinctive styling, and high quality - allessentials that are traditional to our vehicles. This Owner’s Manual has been prepared with the assistanceof service and engineering specialists to acquaintyou with the operation and maintenance of your vehicle. It is supplemented by a Warranty Information Booklet,located on the DVD, and various customer-orienteddocuments. Please take the time to read these publicationscarefully. Following the instructions and recommendationsin this manual will help assure safe andenjoyable operation of your vehicle. NOTE: After you read the manual, it should be storedin the vehicle for convenient referencing and remainwith the vehicle when sold, so that the new owner willbe aware of all safety warnings. 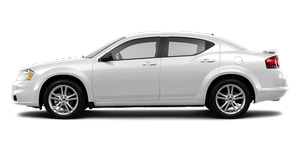 When it comes to service, remember that your authorizeddealer knows your vehicle best, has factory-trained techniciansand genuine MOPAR parts, and cares aboutyour satisfaction.